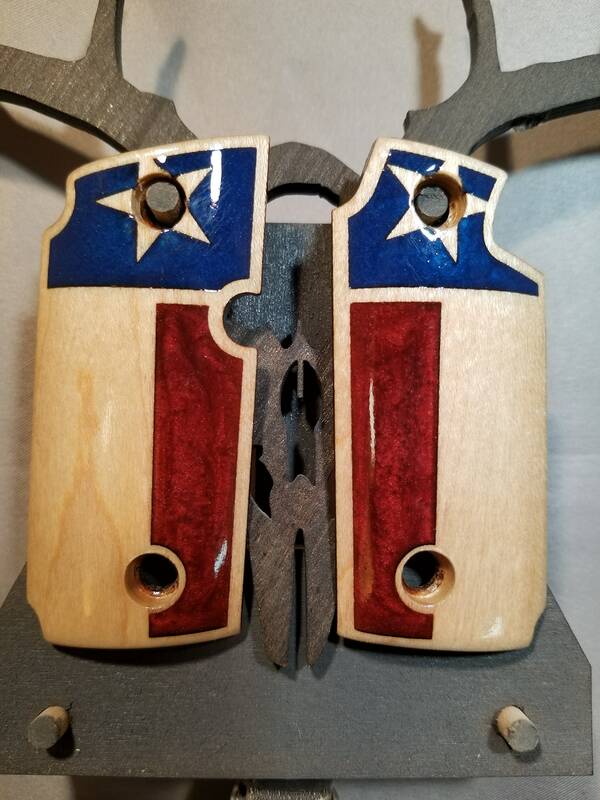 This is an AMAZING set of SIG SAUER P238 grips. 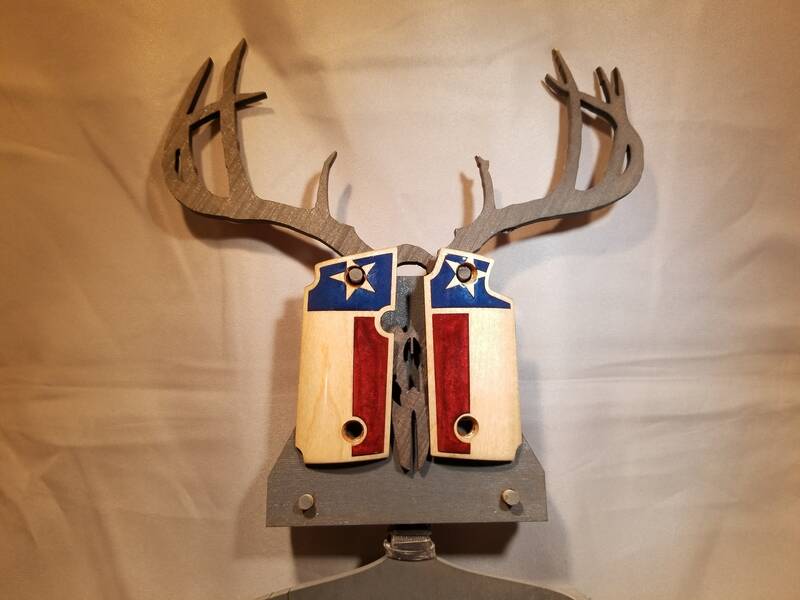 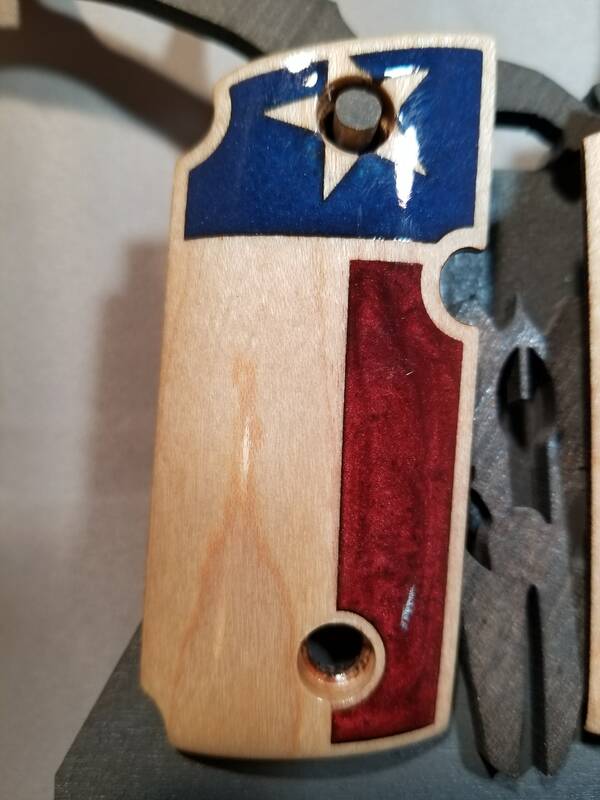 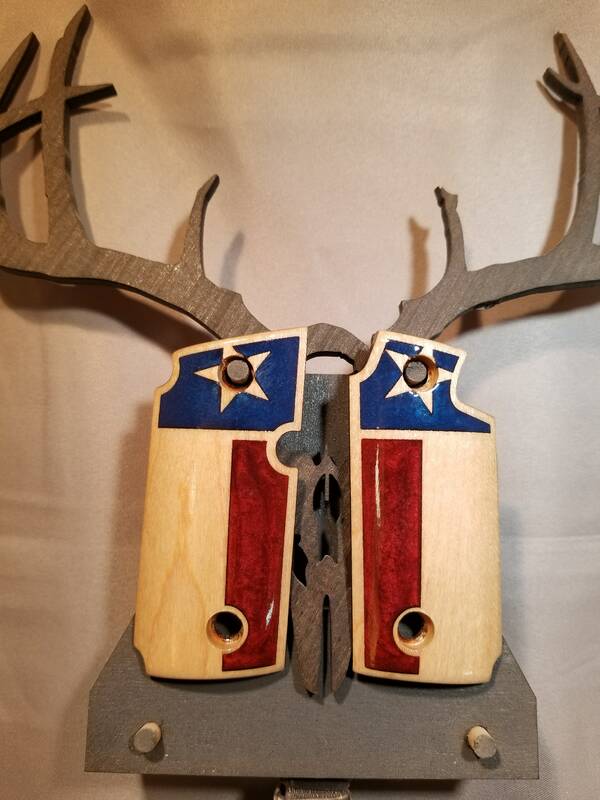 They are made from MAPLE, and the TEXAS STATE FLAG is inlaid with Blue and Red resin inlays. 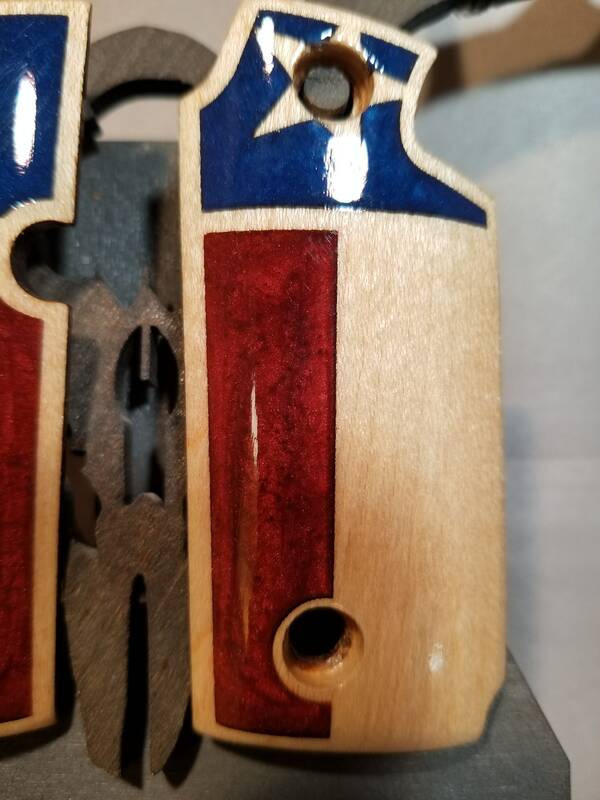 These pictures don't do them justice. 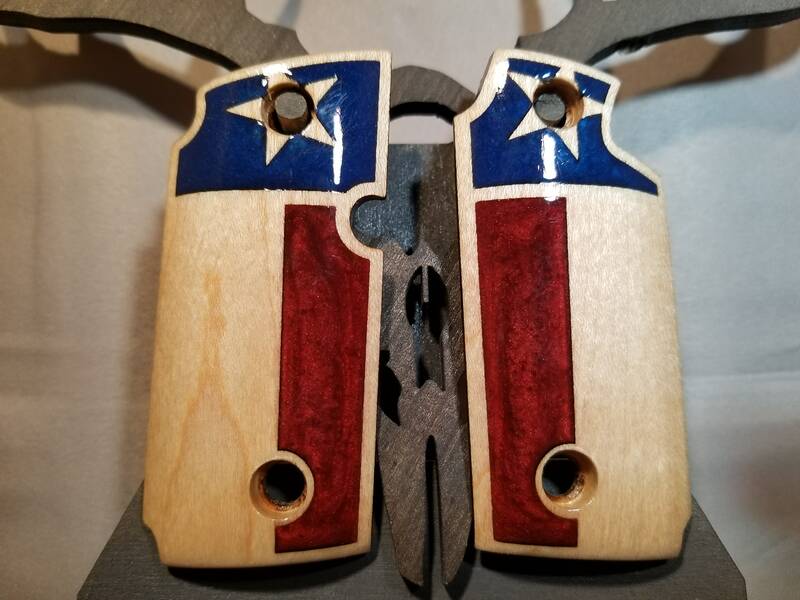 They have been test fit on a similar Sig Sauer P238 although, due to some firearm manufacture differences, a small amount of end-user fitting may be required.